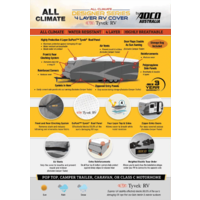 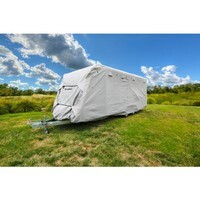 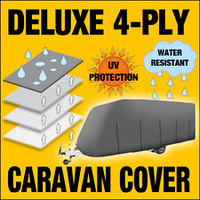 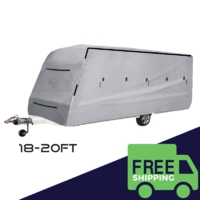 A durable and practical product from the industry leader in caravan covers worldwide, this ADCO cover fits caravans measuring between 18 and 20 feet in length. 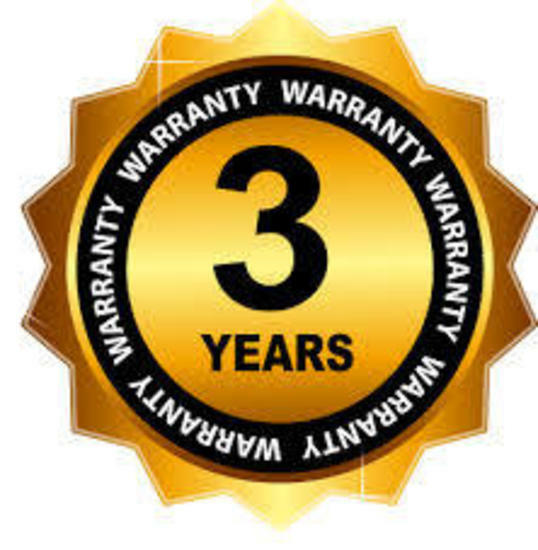 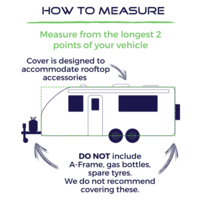 Its universal design makes it a good fit for most makes of caravans, and makes for a quick and easy installation process as well. 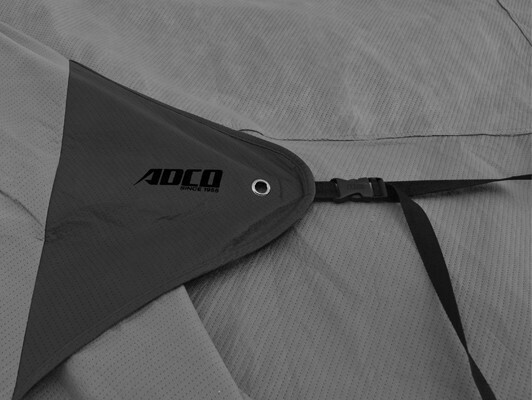 Held in place by strategically located straps and buckles, the cover also includes a handy cinching system for any loose fabric at the front and back. 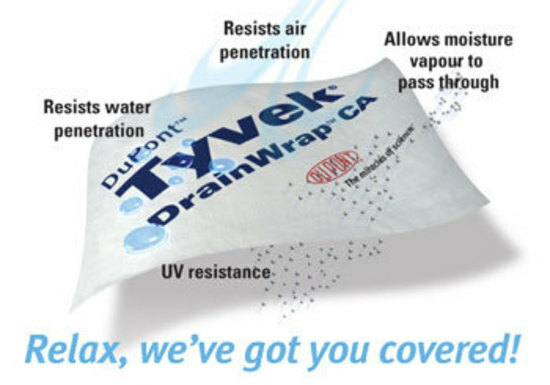 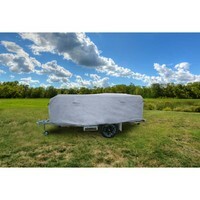 The heavy duty build of the cover consists of a Dupont Tyvek roof and breathable layered polypropylene sides.. 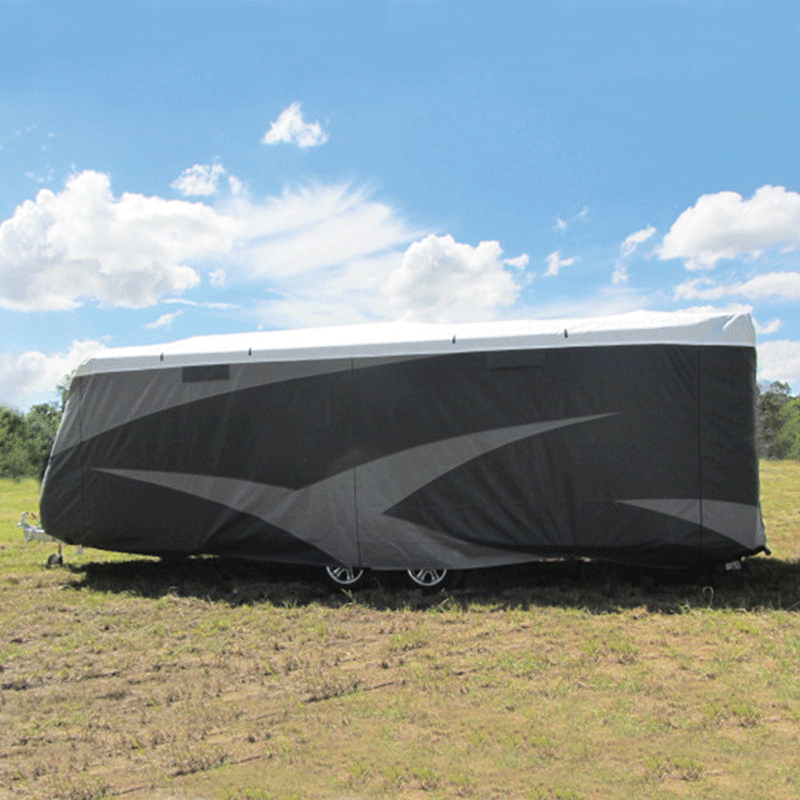 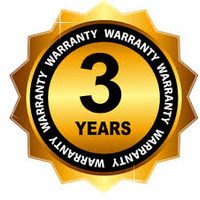 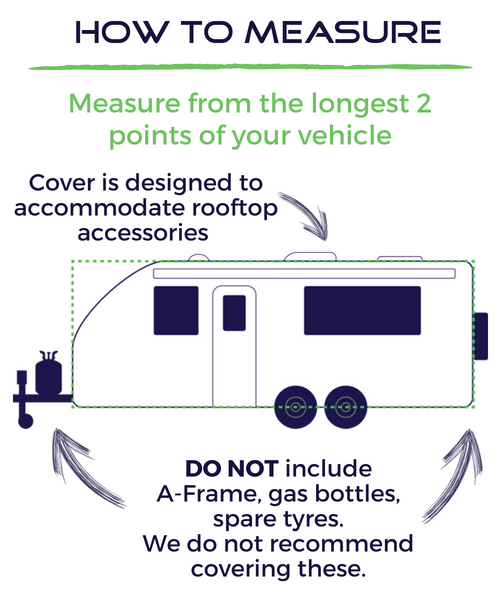 The Tyvek top also blocks 99.8% of harmful UV rays, keeping your caravan’s exterior, as well as its furnishings, from ageing and fading prematurely. 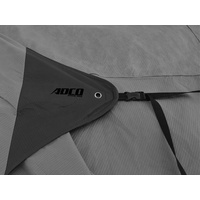 This ADCO caravan cover remains breathable, keeping undesirable mould and mildew away from your motorhome. 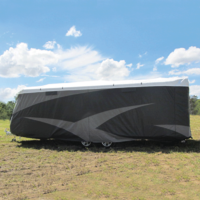 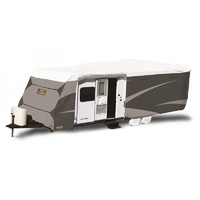 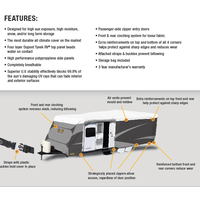 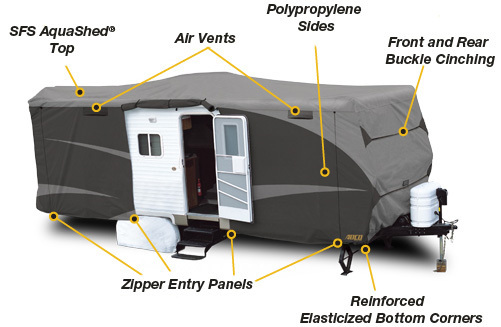 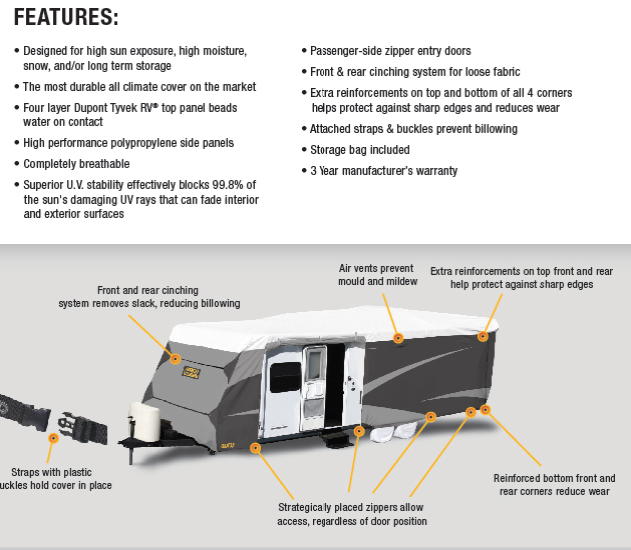 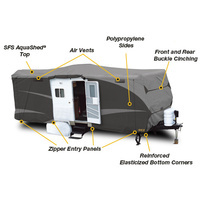 Its practical design includes features such as a non-abrasive inner lining and zippered side doors that allow you uninterrupted access to your caravan. 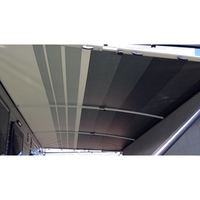 The top panel extends over the front and back in a white finish, and is complemented by the two-tone greys and contoured patterns of the side panels. 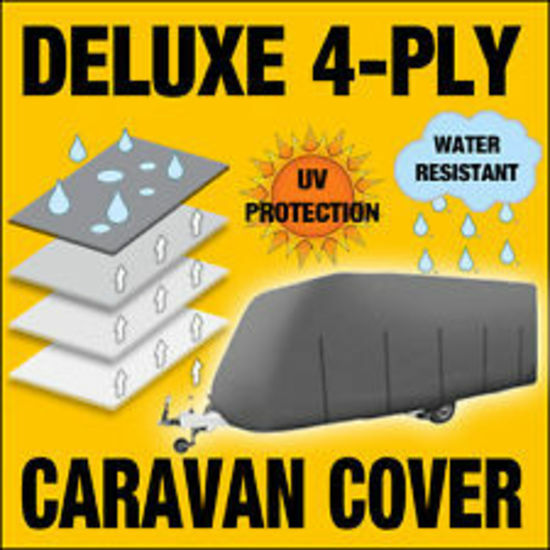 Some times I am my worst enemy, I don't read I look at the pictures first, I did a review for this ADCO caravan cover already but under the ADCO van cover repair kit which I also purchased at the same time from the same supplier, so far to date I can not fault the product or the supplier, keep up the good work. 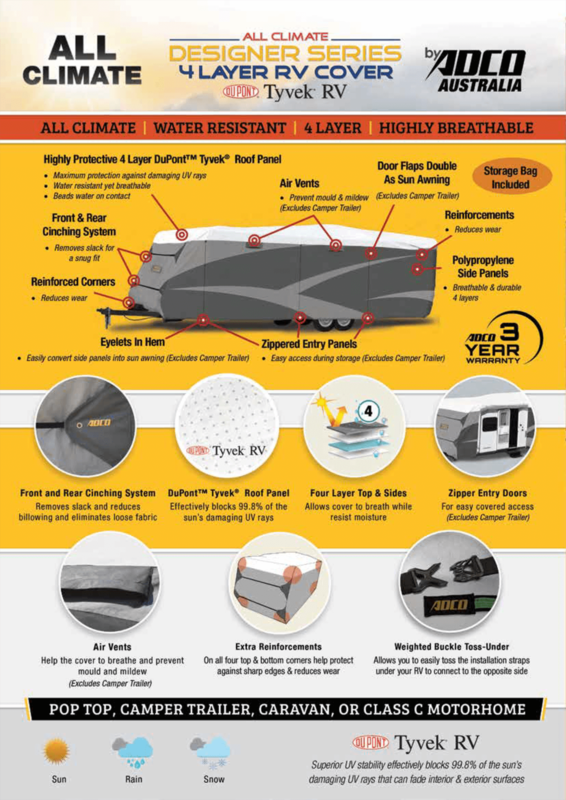 Awesome product , totally water proof & dust proof. 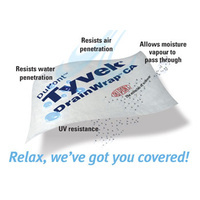 Great product and fast delivery, thank you!